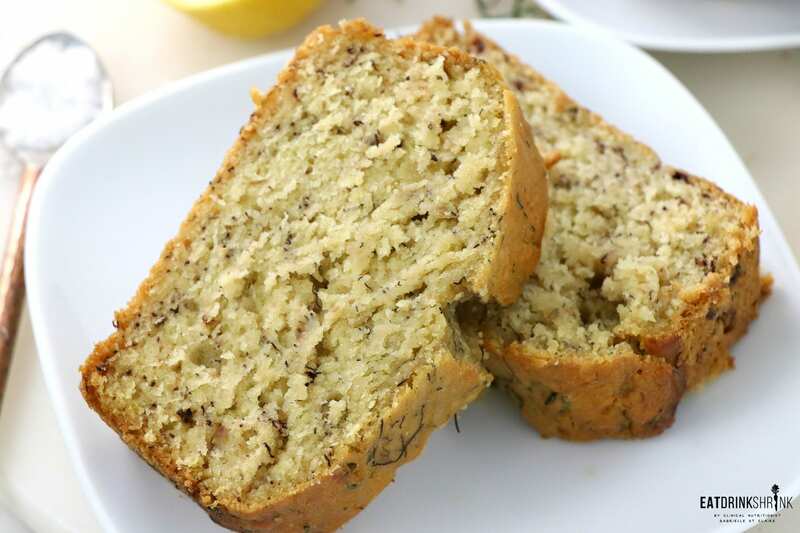 Vegan Lemon Rosemary Banana Bread - Eat. Drink. Shrink. Some slightly warmer temps came thru last week and it got me craving spring concepts. One of my favorite flavor combos is anything fruit or specially citrus based infused with herbs. I love how the flavors blend together and it only adds a depth to the final product. 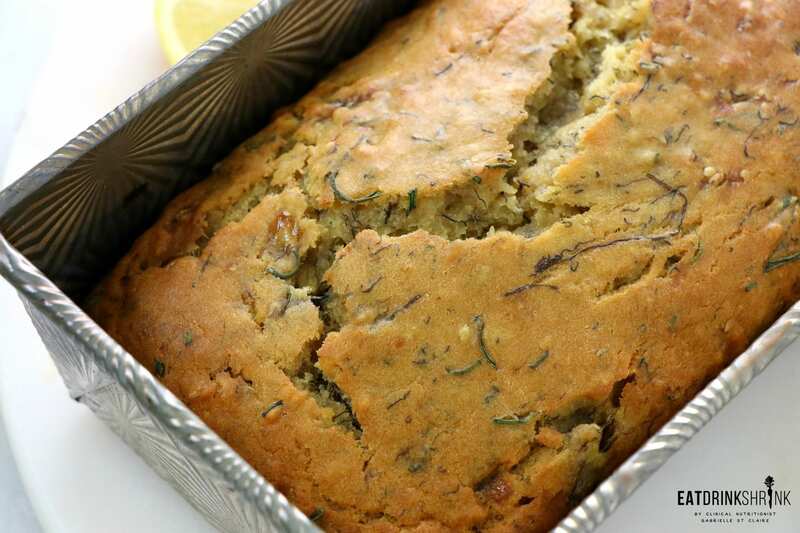 Needless to say, I’m all about lemon and rosemary! 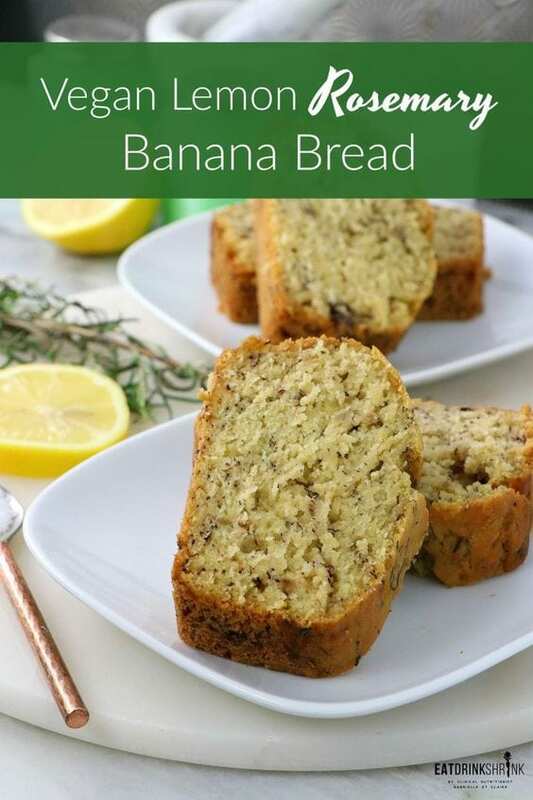 I’ve done a cake, a muffin, and now a staple banana bread!! 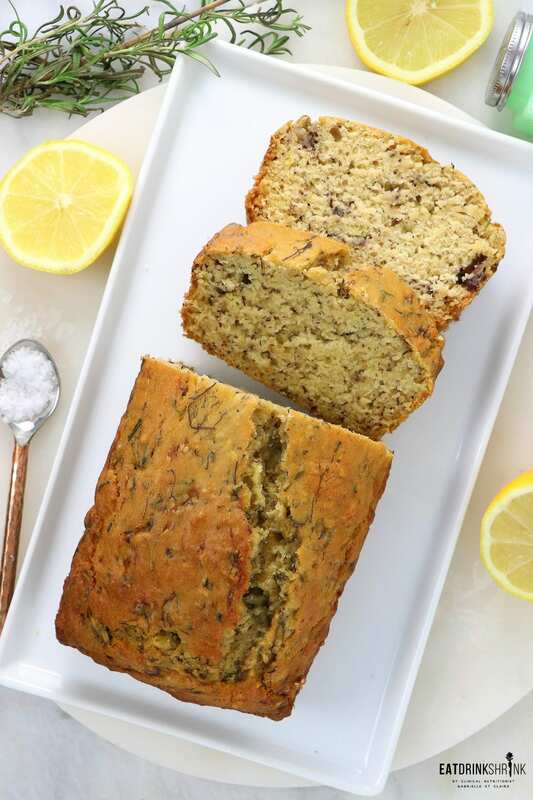 I love a good muffin, but also LOVE a good banana bread as let’s face it, we always have bananas that are on their way out making it the perfect solution to mitigating waste! 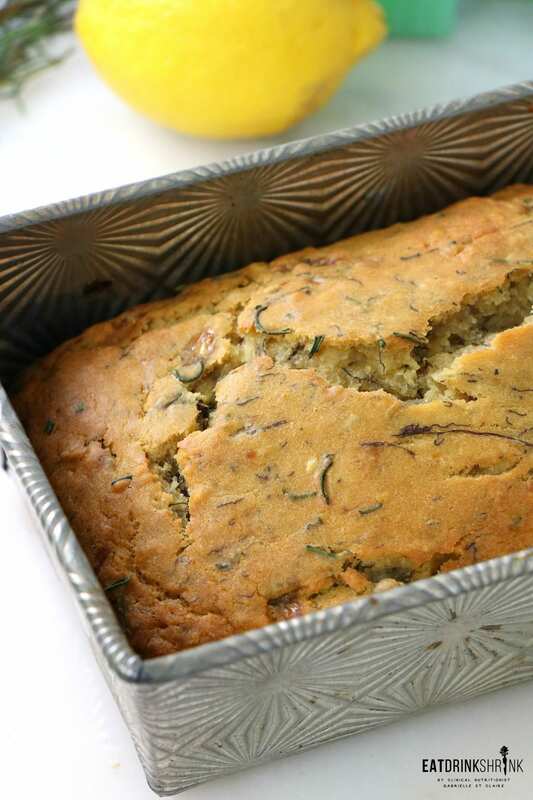 Whats fab about this banana bread, is everything! It’s my staple recipe, quick, easy, packs flavor, packs moisture, has minimal ingredients, minimal added sugar, buttery soft, perf for vegan and non vegans, and the flavor will leave you craving this flavor combo!! 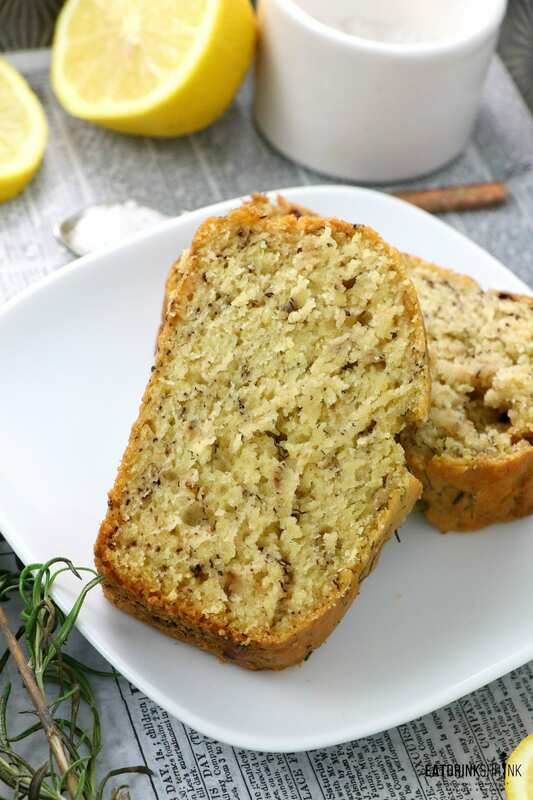 If you’re looking for a modern vegan banana bread, you’re going to love this new Lemon Rosemary Banana Bread!! In a medium bowl, whisk together flour, baking soda, and salt. In a large bowl combine mashed bananas, almond milk (room temp) sugar, vanilla extract, lemon extract, lemon juice, lemon zest and melted coconut oil. If the oil begins to solidify due to the almond milk not being cold enough simply pop in the microwave for a minute. 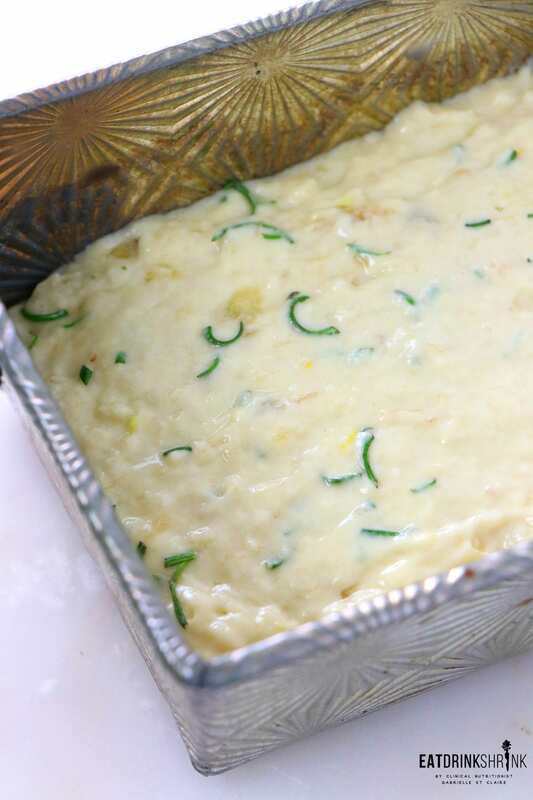 Fold the wet ingredients into the dry, and add the chopped rosemary. Combine just until incorporated. Pour the batter into the pan. Top with additional rosemary if desired. Bake for 45 minutes - 1 hour or until a toothpick inserted in the center comes out clean. Remove from oven and allow to cool in the pan for 10 minutes. Transfer to a wire rack to cool completely. 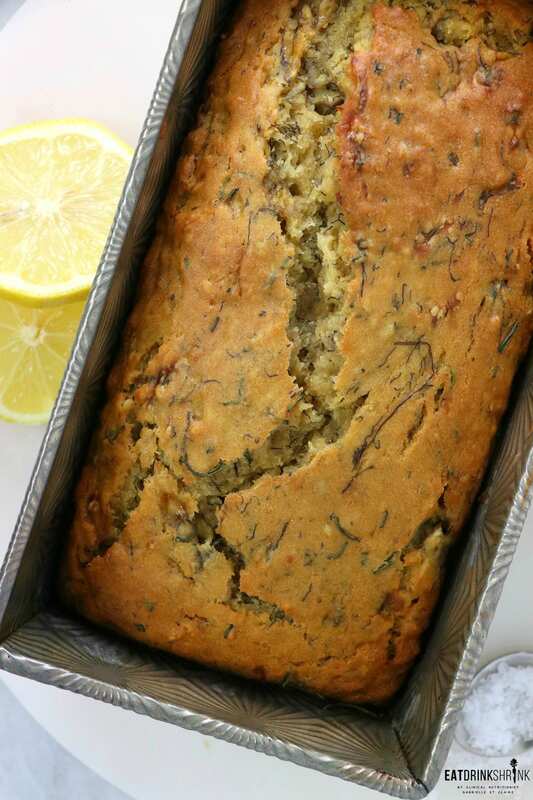 What temperture do you bake the lemon loaf for 1 hour? Hi Bob! It's 350 which is instructed in the beginning of the recipe. Let me know how it turns out!